In May 2018, the Boy Scouts of America changed the name of its program for older children to Scouts BSA and opened membership to girls for the first time. 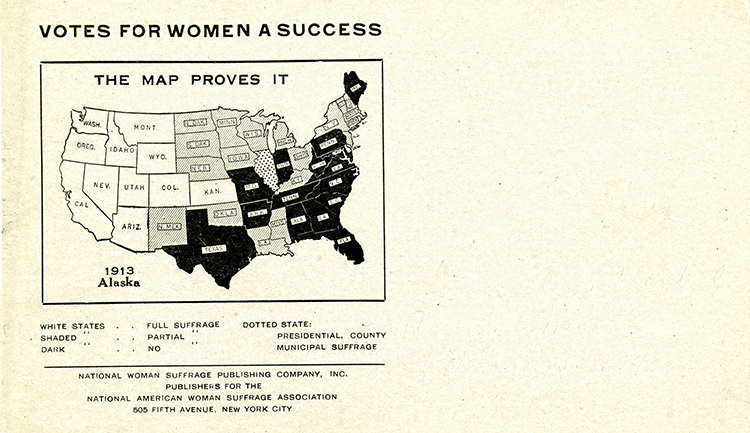 Girl Scouts of the USA initially responded to the change by emphasizing the unique nature of its program for girls. However, in November 2018 Girl Scouts filed a lawsuit against BSA in federal court, claiming trademark infringement, unfair competition, and brand confusion related to the decision to remove the “Boy” from “Scouts.” Cooperation and conflict between the two organizations has waxed and waned over time, and the separation and overlap of scouting for boys and girls has been a sometimes contentious issue from the beginnings of the groups, over 100 years ago. Such disagreements, both in the past and today, remind us that volunteer organizations and organizations for children can be important indicators of larger cultural conversations around gender and equality. James E. West was not pleased. In 1913, just one year after its foundation, the Girl Guides of America had changed its name to the Girl Scouts of the United States of America. West, the Chief Boy Scout Executive, worried that use of the term “scouts” by the all-girls’ group “trivialized” and “sissified” his Boy Scouts. West wrote letter after letter to that effect, and brought legal challenges against Girl Scouts in an effort to control the moniker. West’s objections to the group did not stop there. Boy Scouts wore khaki uniforms, similar to the military uniforms of the day. When Girl Scouts started wearing khaki uniforms too, West called them “mannish.” Couldn’t they be more like the Camp Fire Girls? For that matter, why couldn’t they just merge? 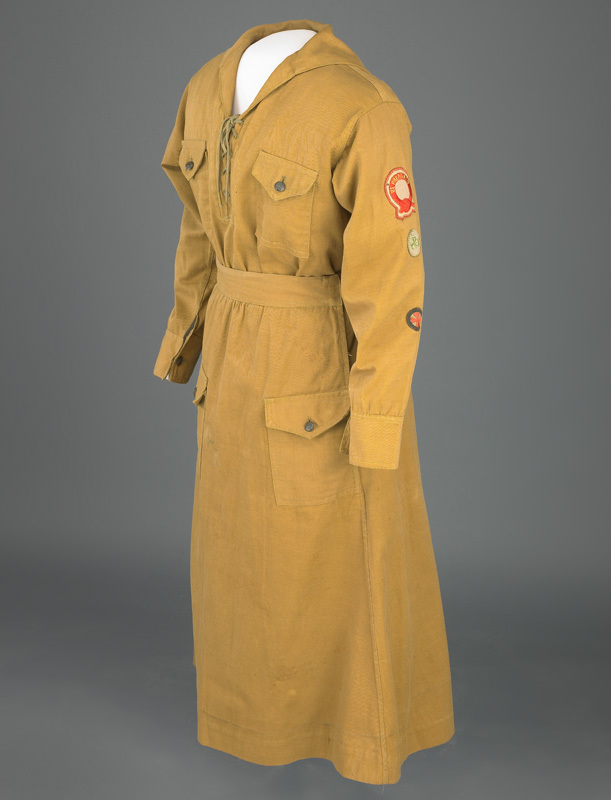 This early khaki Girl Scout uniform dates to around 1918. In the early decades of the Boy Scouts of America, West and his supporters saw any crossover with Girl Scouts as a blow to the burgeoning masculinity of Boy Scouts. They feared boys wouldn’t want to do anything that girls were also doing. Critics also worried about girls becoming “tomboys” who would reject the more socially acceptable roles for women in the domestic sphere—homemaker, wife, mother. 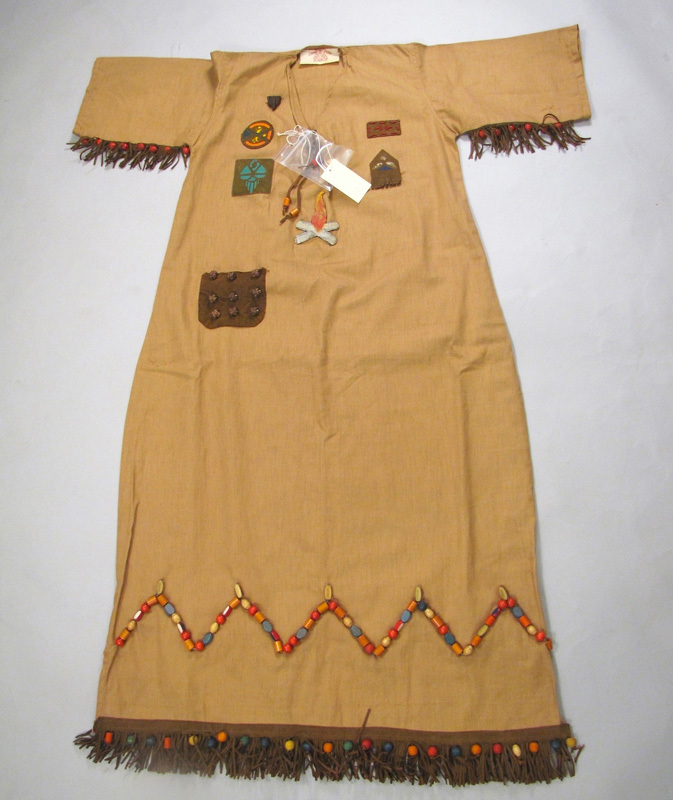 Instead of the Girl Scouts quasi-military uniforms, Camp Fire Girls wore ceremonial garments, along with earned beads called “honors.” Camp Fire Girls merged a simplistic view of a Native American past with a focus on bringing meaning, and even romance, to domestic duties. In 1913, the year the Girl Scouts changed their name, many Western states had already given women the right to vote, as this postcard illustrates. Indeed, the similarity between Boy Scouts and Girl Scouts isn’t surprising. Both trace their roots back to the same person: Robert Baden-Powell. An officer in the British Army in the late 1800s and early 1900s, he developed a training regimen that focused on outdoor activity, skill development, and character building for his officers. When he published his “scout method,” it became wildly popular with young men and youth groups, so Baden-Powell republished it as a handbook for civilian youth. Back in the United States, there had been a burgeoning “back to nature” movement since the late 1800s. Youth organizations and scout-like groups were popping up to ensure children were exposed to healthy outdoor activities. Baden-Powell’s scout handbook made its way to the States, and the Boy Scouts and Girl Scouts soon followed. The Boy Scouts of America was founded in 1910 by newspaper publisher W.D. Boyce, who soon after handed the reins to James E. West. The Girl Scouts were founded by Juliette Gordon Low in 1912. They were originally modeled on the British “Girl Guides” founded by Agnes Baden-Powell, Robert’s younger sister. When the American Girl Guides changed its names to Girl Scouts and their uniforms to khaki—that’s when the trouble really started. 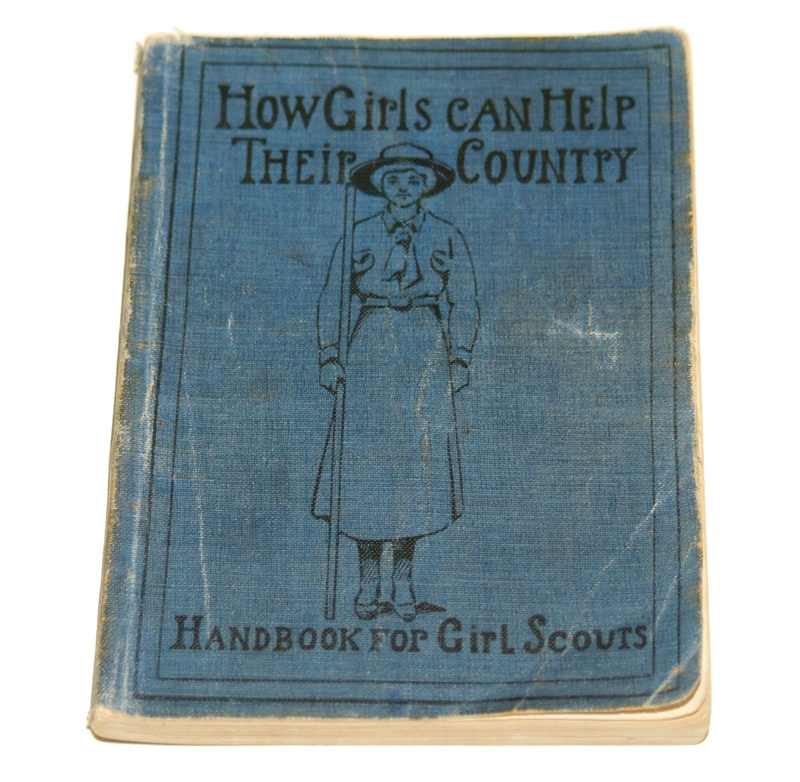 Juliette Gordon Low oversaw the publication of this early Girl Scout manual, published in 1916. It was adapted from "How Girls Can Help Build Up the Empire," the first handbook of Britain’s Girl Guides. During those first decades of American scouting, the tension between the Girl Scouts and the Boy Scouts was never truly resolved. Eventually, the Girl Scouts surpassed Camp Fire Girls as the most popular scouting group. Several elements collaborated to blunt the anti-Girl Scout criticism. Larger cultural shifts like women’s suffrage gained momentum, and Girl Scouts demonstrated effective service on the home front during the First World War. In the mid-1920s, the group even changed its uniforms to green, moving away from the more militaristic khaki. Both the Boy Scouts and the Girl Scouts organizations grew into hallmarks of American childhood. But West never got over the name change. He kept complaining about it until his retirement in the 1940s. 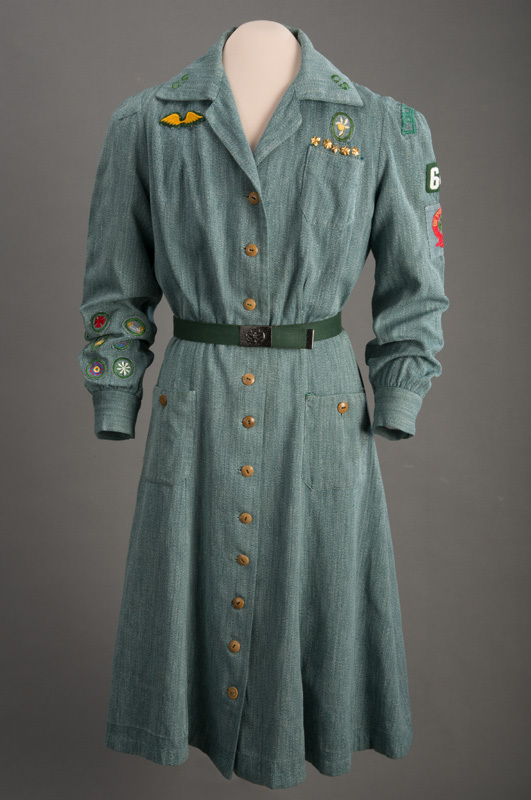 Girl Scouts of the USA turned to green uniforms in 1928, moving away from khaki and its military associations. This uniform dates to the period following World War II. Tim Winkle is a curator in the Division of Cultural and Community Life at the National Museum of American History. Amanda B. Moniz is the David M. Rubenstein Curator of Philanthropy in the Division of Home and Community Life. Amelia Grabowski is a social media and blog assistant focusing on business and philanthropy history. Special thanks to Mary Aickin Rothschild, whose article “To Scout or to Guide? The Girl Scout-Boy Scout Controversy, 1912–1941” provided many of the quotes in this post. The Philanthropy Initiative is made possible by the Bill & Melinda Gates Foundation and David M. Rubenstein, with additional support by the Fidelity Charitable Trustees’ Initiative, a grant making program of Fidelity Charitable.